Wireless Switch, secure switch, smart switch. Report on wattage usage, extend range of z-wave network, remote control light or appliance. Note: this is the Non-USB model of smart switch 6, so has no USB charger port on side of it. Plug it into any power outlet in your home and that outlet is instantly smarter. Smart Switch 6 is a smart plug that lets you wirelessly control whatever is plugged into it. You can do that via remote control or a smart phone, and from an automation schedule or from the power outlet itself. 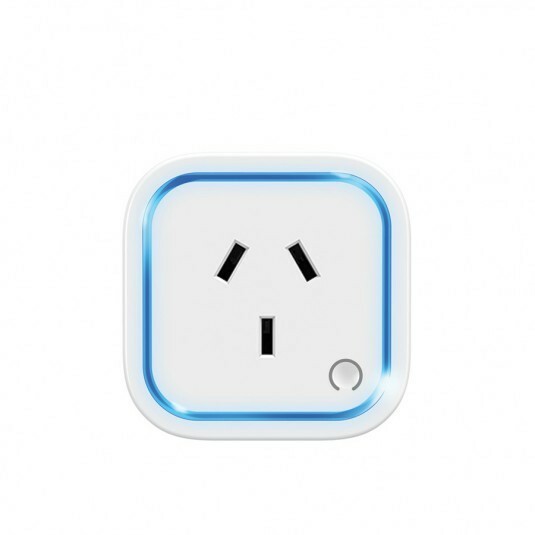 Now your wall socket is smarter and connected. And because it’s truly smart, Smart Switch 6 offers much more than just wireless control. Control it via remote from up to 150 metres away from anywhere in the world via a smart phone or tablet. Smart Switch 6 can be controlled using secure and encrypted wireless technology. Control whatever is plugged into a Smart Switch 6 via a schedule and ensure that gaming systems and computers aren’t used when they’re not meant to be. Convenience. Cost savings. Our electronics don’t have to be turned on all the time, just the times we use them. Smart Switch 6 lets you automatically turn devices on or off according to a schedule you choose. Turn your electronics off in the event of an emergency or a hazard. Smart Switch 6 lets you automatically turn off devices, such as leaking air conditioners and fridges, when they fail. Monitor and understand exactly how much money the devices plugged into Smart Switch 6 are costing you to run, then create a schedule to reduce your electricity bill. Your expensive electronics are safe with Smart Switch 6 courtesy of its inbuilt surge protector and over-current protector. Save on what you spend. Smart Switch 6 has world-class energy monitoring technology built right in. In real-time it can understand how much electricity your devices are using and let you know. It does that via the Aeotec LED Ring. 16 million colours of light are used to visually communicate how much electricity is being used. MultiSensor 6 is a complete reengineering from the inside out of Aeotec’s 4-1 sensor. It has Thermometer, Light sensor, Humidity sensor, Vibration sensor and UV sensor. Know if your doors are open or closed with this door/winow sensor. Copyright © 2019 Active Automation. All rights reserved.